The only other Jane Perry story that I've read was a novella that was a pretty straight-forward police procedural. This is a little different. Jane Perry is a Denver homicide detective, who has had great professional success but a very rough personal life. She's recently met a man she's really connected with for the first time, and has kicked the alcohol and cigarettes that have had too much control of her life. And she's discovered she has an older half sister, born and given up before her mother made the mistake of marrying Jane's father. 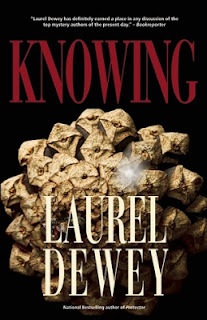 Knowing starts with Jane leaving on a road trip to go meet her half sister in New Mexico, where she's currently living in halfway house. Since the Newtown massacre, the subject of gun control and gun safety has erupted again. This has, of course, been accompanied by the standard NRA fear-mongering that those suggesting any new restrictions at all are "gun grabbers" who want to disarm the American people. 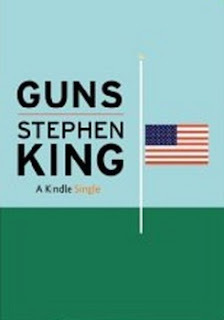 Stephen King, solidly politically liberal and a life-long gun owner, arguably has a foot in "both camps," and wants to see a rational, effective response that respects everyone's rights. Guns is a thoughtful discussion of what the problems are, and what some of the solutions might be. 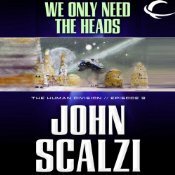 This is the second episode in Scalzi's episodic novel, The Human Division. 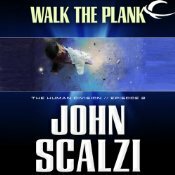 This is a short entry, told entirely in dialog, set in a wildcat colony that has been awaiting the oddly delayed arrival of their supply ship. Finding a stranger in the wilderness near their colony is an alarming signal that something has gone very, very wrong. In addition to being short, this story is a complete break from the characters and immediate circumstances (as opposed to the same universe and time frame), and very different in style. It's clearly setting something up. Not as strong as the previous episode as a stand-alone episode, but I suspect it's a solid set-up for important developments later. Thomas-Alexandre Davy de la Pailleterie, son of a French marquis and a Dominican slave, enlisted as a private in the dragoons in 1786, at the age of twenty-four, under the name Alexandre Dumas, and embarked on a career illustrious by any measure, and unimaginable for a mixed race man anywhere else in the West for another two centuries. 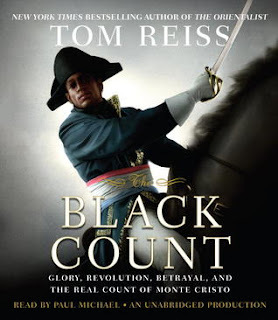 French law on race relations in those pre-Revolutionary years was in conflict and transition. France practiced slavery in its colonies on an immense scale and on a much more brutal model than that of the American south, which was itself brutal enough to shame us forever. Despite that fact, the law in France was ambiguous on the subject of slavery, and the parlement courts, in partial defiance of the French crown, aggressively advanced the legal theory that it was not possible to be a slave in France. 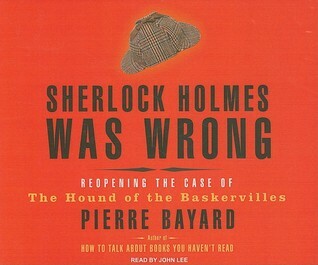 Pierre Bayard reads The Hound of the Baskervilles, and comes to the same conclusion many other readers have: In this particular case, Sherlock Holmes was wrong. This is a work of slightly tongue in cheek, very French literary criticism. As such, it's not for everyone. This isn't a fault in the book, but simply a matter of taste. 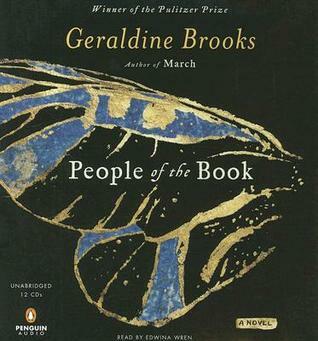 Do you have a book you want to write, something that would add value to the world for the people who would read it? An exciting story, a history of something most people don't know about, an instructional book on your area of expertise? A cookbook? 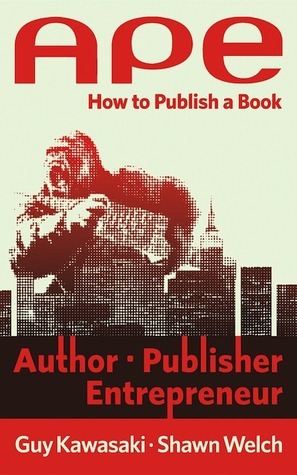 Whatever the subject or the nature of the book, at one time your only option was to interest an established publisher in buying it. That's still the most obvious course, and for many reasons, it's often the best course. 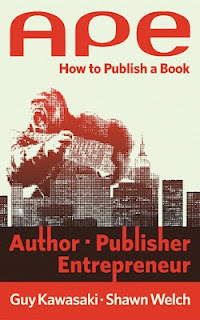 Established publishers have editors, copy-editors, art directors, contracts with printers, marketing departments, distribution networks. That's a lot of work that gets done for you, while you "only" have to write the book and collect your advance and, if you're fortunate, your royalty payments as they come in. In what ways are traditional societies similar to each other, and modern state-based societies similar to each other? In what ways do modern and traditional societies resemble and differ from each other--and is there anything that we can learn from the surviving traditional societies before they disappear? 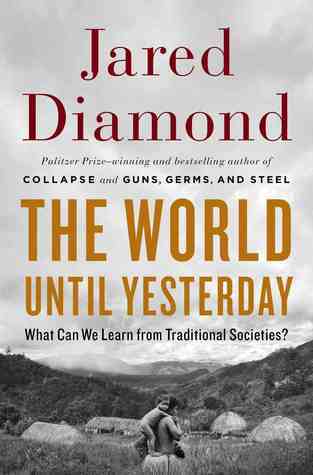 Jared Diamond takes an in-depth look at what distinguishes traditional from modern societies, and what we can learn from them. 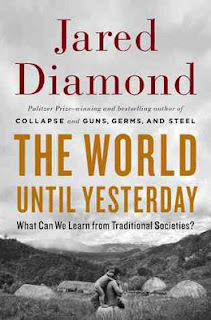 This is not a hearts & flowers mash note to traditional societies; he's at some pains to make clear that the lives of traditional peoples, whether hunter-gatherers or farmers, are generally harder, shorter, and more dangerous than modern, state-based societies. Injury and disease are far more likely to be crippling or fatal. Death from violence, whether by murder or in war, claims a much higher percentage of the population, despite fond illusions of "the gentle !Kung" and the notion that war is a modern invention. In the late 1920s, as we were hurtling toward the Great Depression, and the early 1930s, as we were struggling through it, the United States embarked on one of the greatest engineering projects in history. 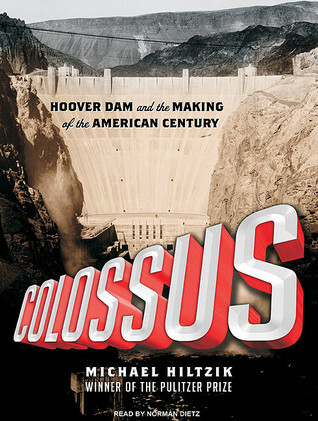 Hiltzik follows the conception, design, and building of the Hoover Dam from the first Europeans to reach the Imperial Valley in what is now California, to Americans learning about the wild and powerful Colorado River, and the periodic destructive flooding of Imperial Valley and other potentially valuable agricultural territory. From there began the search for ways to control and harness the power of the river. The challenges were not merely technical and engineering problems. Harnessing the Colorado River meant deciding how to divide up the water among seven different states with competing interests, as well as deciding whether the project would be "merely" for flood control and irrigation, or for hydroelectric power generation as well.